UNITED States of America - It can now be reported that the patriotic U.S. Military Flag Officers lead by General Michael Flynn and his Grand Orient Freemason allies are now in possession of the Dallas Police report that documents the arrest and interrogation of then U.S. CIA agent George Herbert Walker Bush aka daddy Bush on November 22, 1963, ten minutes after the assassination of President John F. Kennedy. 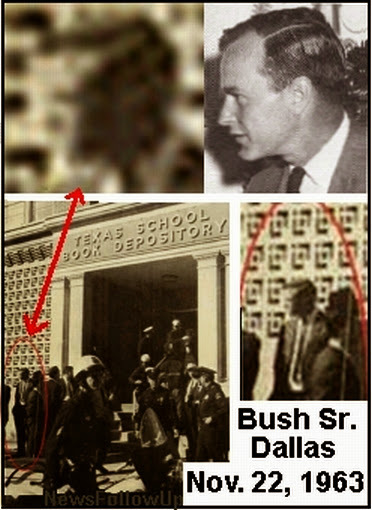 George Herbert Walker Bush was arrested after trying to flee the Texas School Book Depository immediately after the HIGH TREASON assassination of our 35th President. This document has resurrected after being placed in a secret CIA-Washington Post safety deposit box by the U.S. Senator Frank Church (D-ID) administered intelligence committee that was investigating CIA crimes against the American People in the mid 1970s. 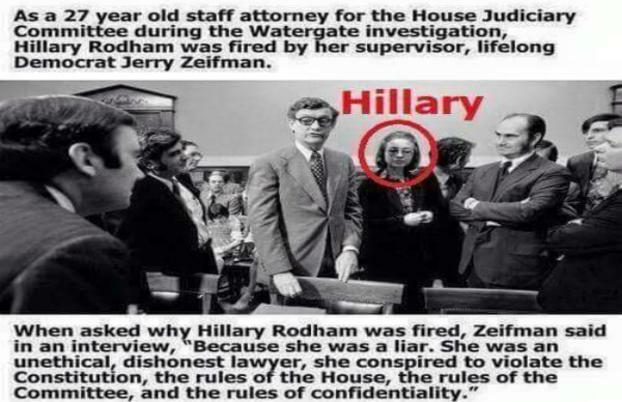 We can now divulge that it was corrupt Watergate attorney and CIA asset Hillary Rodham Clinton that placed daddy Bush’s arrest record in the CIA-Washington Post safety deposit box for safe keeping and for future use in political blackmail to enhance Bill and Hillary’s political future. We can now report that it was Hillary Clinton that turned over her copy of George Herbert Walker Bush’s 1963 arrest record to the U.S. Military Flag Officers. 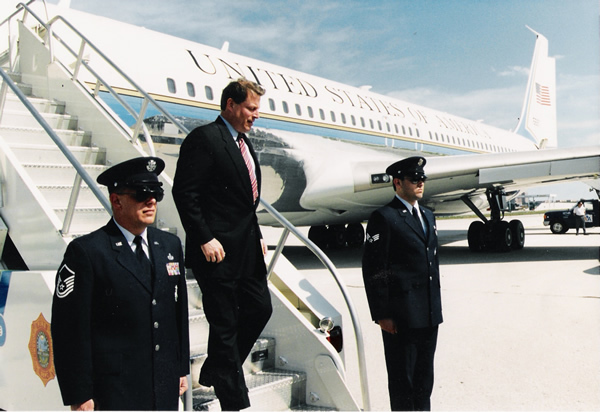 Hillary has also turned over decoded NSA and CIA electronic algorithms to former Vice President Albert Gore Jr. (now year 2000 DULY ELECTED President Albert Gore Jr. of Carthage, Tennessee) clearly proving that Gore won the 2000 presidential election with over six (6) million popular votes and 330 electoral college votes. Reference: The BISAT CNN and CBS hacking of the Voters News Service in Hamilton County, Tennessee at 8:00 p.m. CST election night 2000. The split and warfare between the Bushes and Clintons began on election night 2016 when daddy Bush and Larry Mizel of Denver, Colorado were unable to steal the year 2016 election for Hillary as they had done for junior BushFRAUD (George W. Bush) in the year 2000. Hillary flew into a rage election night 2016 and claimed daddy Bush had double-crossed her when, in truth, the CIA, NSA and BISAT could only steal five (5) states for Hillary as they had stolen five (5) states in 2000 for junior BushFRAUD but were unable to steal ten (10) states which were required for Hillary to reach the magic number of 270 electoral college votes. Note: The algorithms aka undefined variables went hybrid basically ending the attempt at a second U.S. election coup in 16 years. P.S. The current CIA Russian hacking story is a total diversion by the corporate U.S. CIA controlled cointelpro disinfo propaganda media filth as to cover up the intelligence and vital information we have just alerted you to above. Current U.S. House Speaker Paul Ryan and Democratic minority leader Nancy Pelosi are covering up and trying to classify this intelligence but it won’t work. Their attempt to hide the truth from the American People is, in itself, a crime of HIGH TREASON against the American People and their Constitution. New evidence has also surfaced tying junior George W. BushFRAUD, along with Bill and Hillary Clinton, to the assassination of John F. Kennedy Jr. on July 16, 1999 and within a short period of time after the assassination of John F. Kennedy Jr. the attempt to assassinate then Vice President Albert Gore Jr. of Carthage, Tennessee over the skies of Chicago in July of 1999 reference electronic vectoring of his Air Force Two aircraft. 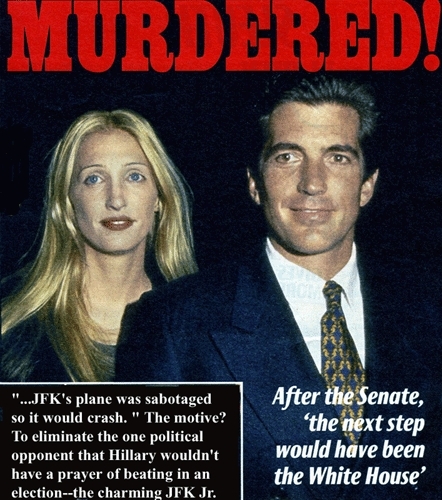 The plot was simple: Kill John F. Kennedy Jr, kill Al Gore and clear the field for CIA asset Hillary’s New York U.S. Senatorial race in the year 2000 and clear the field for junior George W. Bush in the year 2000 presidential election. 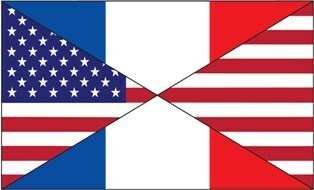 In closing, we can now divulge that U.S. Treasury agents and the U.S. Military Flag Officers have absolute proof that current U.S. alleged pResident, FOREIGN born, Barack Hussein Obama, U.S. Vice President Joseph Biden, U.S. Secretary of State John ‘Skull and Bones’ Kerry, as well as the Bush-Clinton Crime Family Syndicate have been receiving bribes and commissions from crooked CIA proprietary accounts that represent STOLEN U.S. Treasury funds tied to the Wanta-Reagan-Mitterrand Protocols in the amount of $15 TRILLION. This involves Chinese-based Hampton Lampoon and noted Bush-Clinton Crime Family Syndicate money laundry Black Eagle Trust. These funds have now been frozen by the International Monetary Fund (IMF).